Count me in Gayle. I look forward to finally meeting Steve & Becky. Cindy & I will attend, Gayle. Thank you for the invitation. What a nice gesture, Gayle! I had just assumed that we'd arrange a restaurant offline to welcome Steve and Becky to their new community, but an in-home party makes for a mighty civilized alternative. Our calendar's clear on the 14th ... please save seats for Mary and me. Bob and I will be there. Thanks so much for hosting us. See you on the 14th. Please add Sandy and me to the guest list. Good to have seen you at Corbetts Monday. Mark & I would love to come! 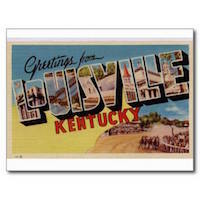 Becky and I are extremely flattered that you would open your home and welcome us to Kentucky. With the move less than a week away we feel like kids at Christmas time. We are looking forward with great anticipation to meeting many of the wonderful people who help make this forum such an interesting place. It's gonna be a great experience for all parties involved. I can hardly wait. Thanks for coming in and inviting me. I'll plan on attending and bringing some coffee and teas. Or a growler espresso stout. Or all of the above! Please add John and I to the list. I will ponder about what to bring. Any requests? I was thinking maybe a couple cakes, but I'm up for anything. Cake. Cake is good. Please bring cake.